If there is any service that you are on the lookout for with regards to keys or lock, please don’t hesitate to get in touch with your most dedicated locksmith Hampstead service. Here you’ll find a highly trained team performing precision key cutting, taking only a few minutes to complete, should you need to get spare keys cut. 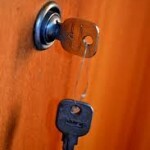 As well as lock opening, lock repairs, lock maintenance and completely new installations of course. 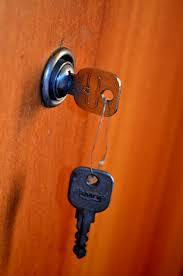 So for an experienced key and lock expert, get in touch with your locksmith Hampstead today! With competitive prices on service, and only stocking known and trusted security brands, you’ll be guaranteed quality, and that not only with regards to the products provided. But of course also applying to the wide range of services you can find here. Should you have any wonders about how you can improve your home security, keeping your family and your belonging safe, or if you are interested how you can keep your business premises secure, and ensure that your investments are under good protection, please feel free to speak to your locksmith Hampstead team. If you get in touch you can book in for a security survey with a trained surveyor who knows not only the best products on the market for home or business security but also knows what is applicable in each individual security situation. As you can imagine, every property is different, just like every home, area and premises have specific security needs, and with trained eyes you’ll be able to find out where the risk areas lie for your situation and find out how you can best protect yourself and those around you against unwanted intrusion. So feel free to get in touch with your locksmith Hampstead service today, we’re always happy to take your call and help you find the best solution for your situation.